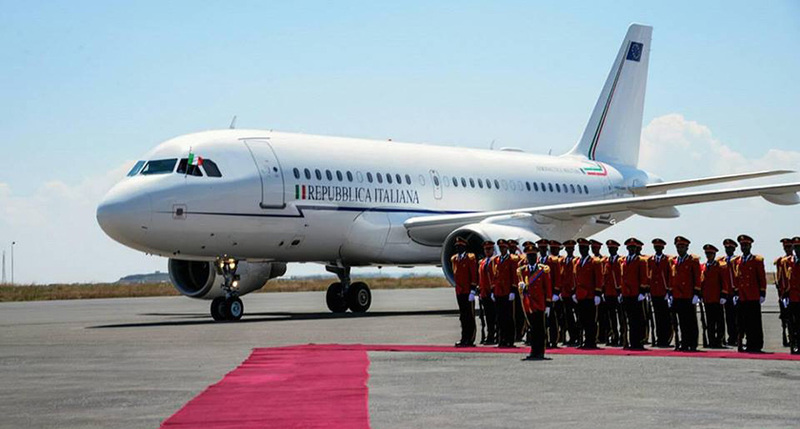 The Prime Minister of the Republic of Italy, Mr. Giuseppe Conte arrived in Asmara in the afternoon hours of today, 12 October for a one-day official visit. 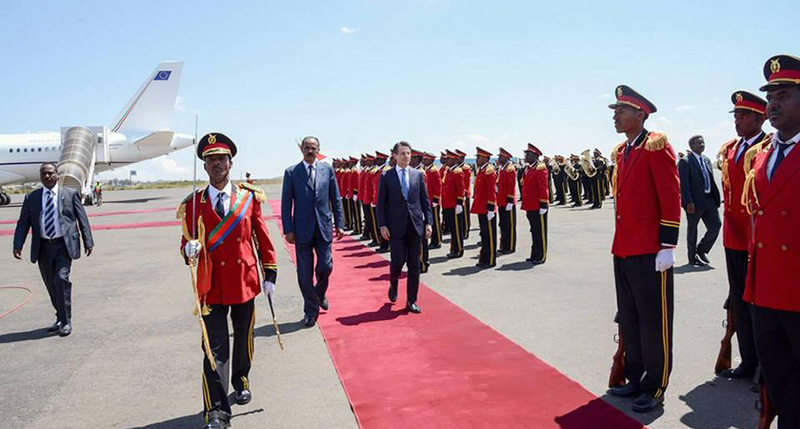 Upon arrival at the Asmara International Airport, Prime Minister Conte was accorded warm welcome by President Isaias Afwerki and senior government officials accompanied by Marching Band playing the national anthem of the two countries. 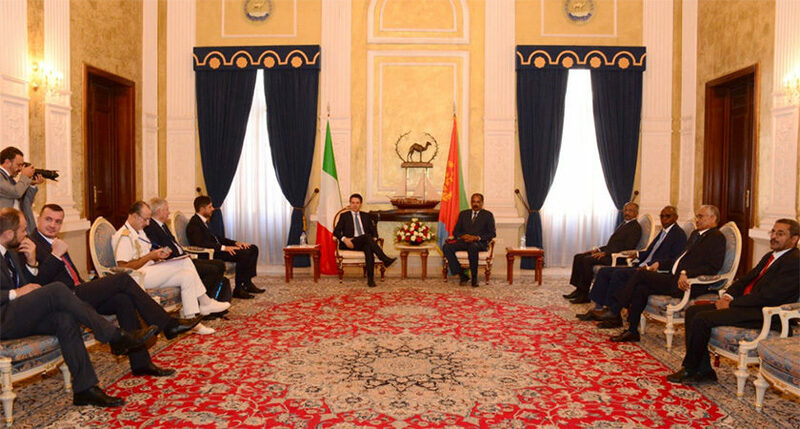 At a meeting President Isaias Aferki and Prime Minister Giuseppe Conte held at the State House they discussed on the development of bilateral relations as well as on other regional and global developments of mutual interest to the two countries. 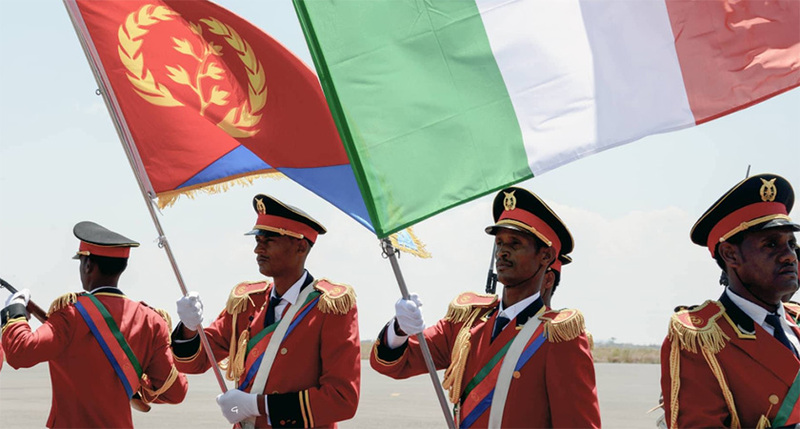 Indicating that the revitalization of the historical relation between Eritrea and Italy makes it unique for it is happening at a time of a new dynamics in the Horn of Africa, the two leaders agreed to strengthen the bilateral cooperation between Eritrea and Italy in particular and between the Horn of African countries and Italy. 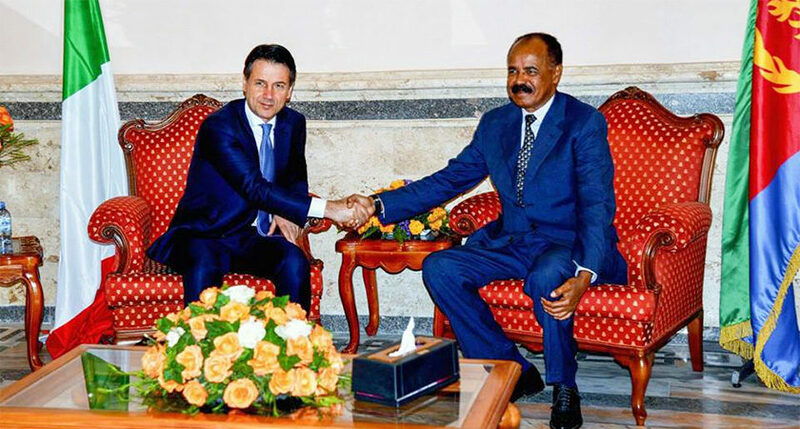 In a press conference, Prime Minister Conte congratulating for the joint declaration of peace and friendship signed by Eritrea and Ethiopia on 9 July to end war and establish a new era of cooperation, expressed his country’s full support and offered any assistance needed for the full implementation of the accord. 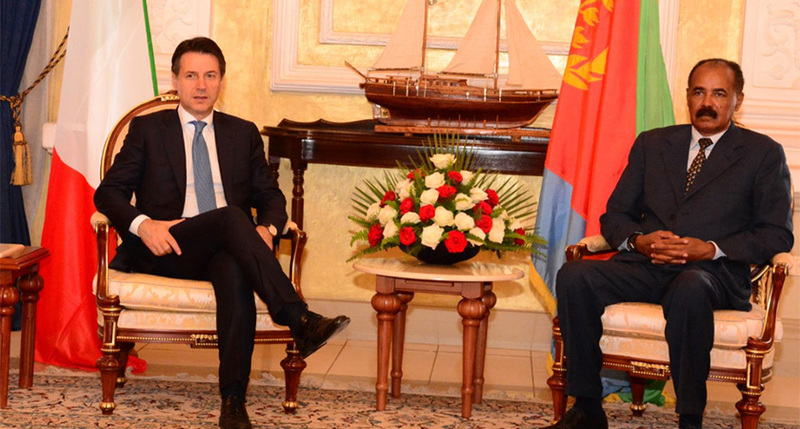 Prime Minister Conte also expressed his country’s readiness to carry out its part in promoting investment, cooperation projects, education programs, and technical and professional training as well as to advocate for the strengthening of cooperation between Eritrea and the European Union. 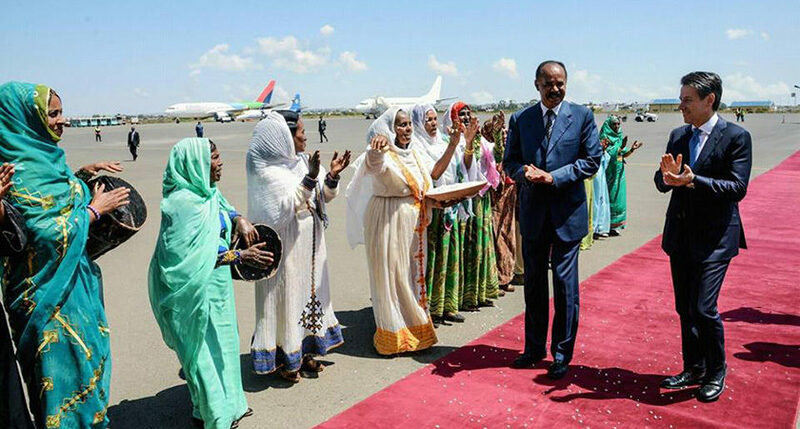 Pointing out that Eritrea and Italy had historical relations, however, the relations could not develop as expected due to various reasons, Presidential Adviser Mr. Yemane Gebreab said that Eritrea will work beyond the Horn of Africa for the development of relations based on mutual respect and cooperation with various countries. 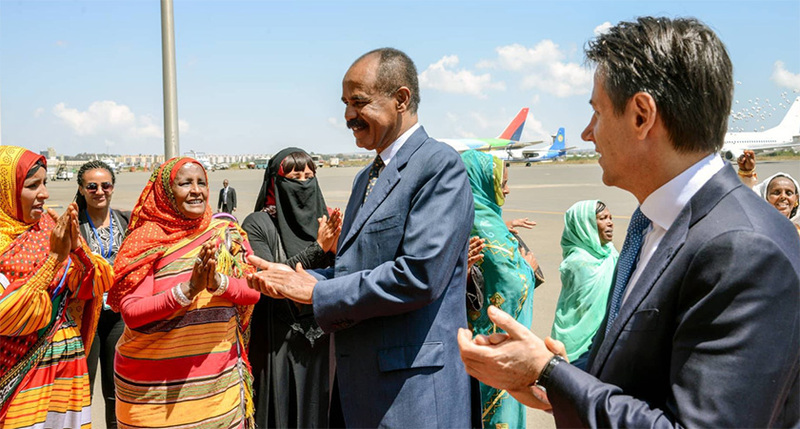 At the meeting Mr. Osman Saleh, Minister of Foreign Affairs, Presidential Adviser Mr. Yemane Gebreab, Mr. Fesehatsion Petros, Eritrean Ambassador to Italy, Mr. Amin Hassan, Director of the Office of the Presidents were present on the Eritrean side. 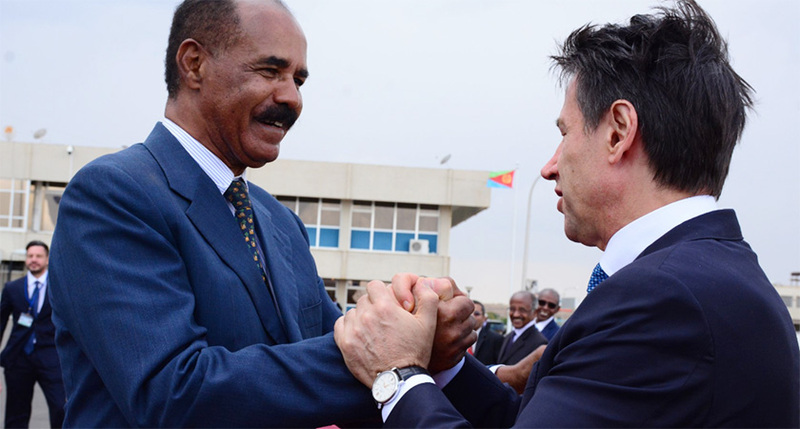 Mr. Stefano Moscatelli, Ambassador of Italy to Eritrea, Mr. Pietro Benassi, Ambassador and Diplomatic Adviser to the Prime Minister, Admiral Carlo Massagli, Military Adviser to the Prime Minister and Mr. Rocco Casalino, Chief Press Officer and Spokesman of the Prime Minister also present on the Italian side. 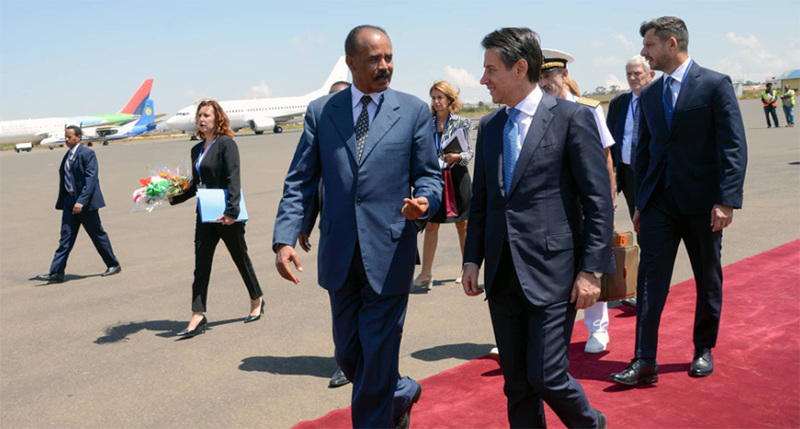 President Isaias Afwerki also hosted state lunch in honor of Prime Minister Giuseppe Conte and his delegation. 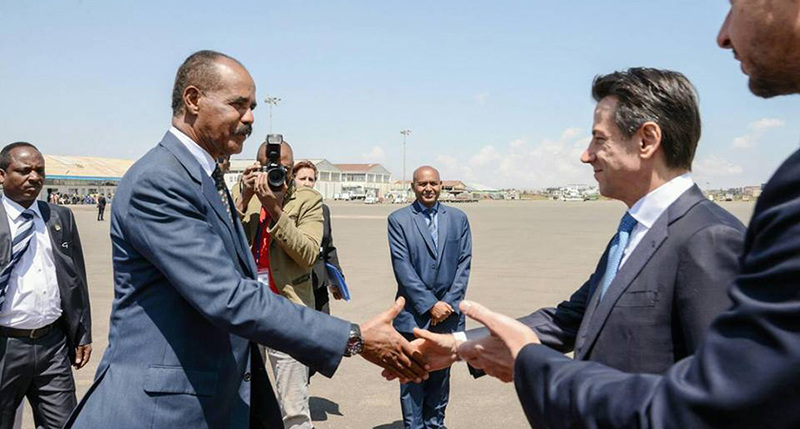 Prime Minister Conte toured the main streets of Asmara and its historical buildings of the city. 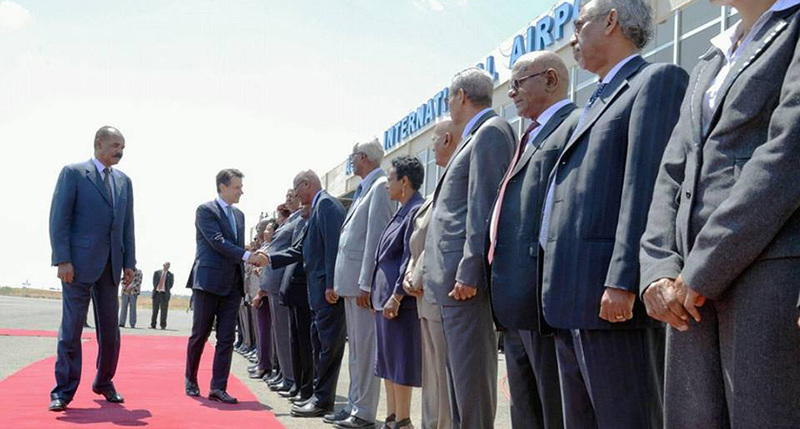 Prime Minister Conte departed to Italy concluding a one-day official visit to Eritrea.